Where is the VIN on my motorcycle? New motorcycles tend to have the VIN stamped on the steering neck where the fork goes through the frame near the headlight. I’ve seen Harley Davidson’s that only had the VIN listed on the side of the engine and nowhere on the frame. 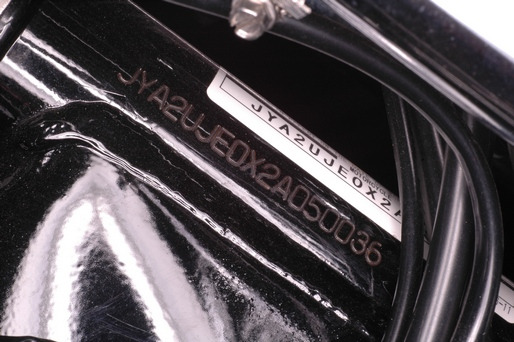 Some Honda’s have a tag riveted to the steering neck and on occasion the VIN will be stamped in the frame just below the seat. Different manufacturers and the age of the motorcycle will ultimately determine the VIN location. How can you check your VIN number for free? The National Insurance Crime Bureau NICB website will do an instant, free check on VIN numbers and tells you if the car has been stolen, or totaled. It gives links to some other sites that are reasonably priced that will give you more detailed info. See Sources and Related Links for more information.